The US pet industry tops an estimated $63 billion. It’s been said there’s an app for anything we humans want. Now there’s an app for man’s best friend. More than a few of them, actually. Dog owners today can book their pups a sitter, find personal walkers, and set up doggie play dates, all with a few taps on their phones. As the number of pets in this country has increased, so too has the demand for related services. “In the last couple of years, the [pet] app world has exploded,” said Leslie May, founder of Pawsible Marketing, a marketing firm that specializes in pet businesses. The American Pet Products Association reported that 65 percent of US households owned a pet between 2015 and 2016, up from 56 percent in 1988. And Americans are spending more on their pets. Theassociation estimates that owners will spend $2.47 billion more on their pets this year than in 2015. Those numbers have made the pet industry an appealing one for the startup world. Aaron Easterly started his Seattle-based dog services company, Rover, in 2011 as an overnight pet-sitting business that was marketed as a better option than the kennel. 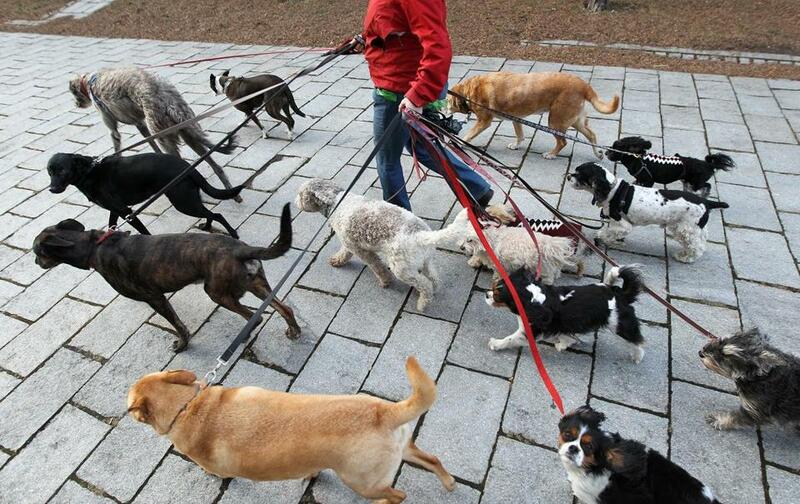 It later added doggy day care, drop-in visits, and daily dog-walking services for busy dog “parents.’’ The company now boasts a network of 40,000 dog owners and sitters in Boston alone, with owners able to access the service through its website and mobile app. But to best serve pet parents, you don’t just need to know technology, you need to know what they want, said Michelle Fournier, the founder of Durty Harry’s, a popular boutique and dog wash business in Charlestown and Brookline. Fournier never imagined leaving the company that she had built. But when her customers would not stop asking if she knew of dog-friendly hotels, restaurants, and parks where they could bring their pups, she saw the need for a service in 2013 that did not yet exist. So she closed her boutiques in 2015 and went into the pet tech industry. Last month, she launched an app called Slobbr that gives users the same advice she used to dole out for free in her shops: where to find pet-friendly establishments. Slobbr raised $65,000 on Kickstarter. As she continues to build the business, Fournier saids she believes what will set some pet companies apart is a keen understanding of the client — in her case, dogs. The American Pet Products Association estimates that the pet industry now tops $63 billion and there are no signs of slowing. The more people continue to cater to their dogs and cats, the more they are demanding streamlined technology that puts more services in one place. And the pet tech world is responding. “Apps are [now] more sophisticated, making things easier for the pet parent,” said May. The key, of course, is predicting what pet owners will want next from technology. “It’s critical to latch on now for the next big wave,” she said. Hae Young Yoo can be reached at haeyoung.yoo@globe.com. Follow her on Twitter @HaeYoung_Yoo.